Here is a gardening lesson I have learned: when a plant fails, it’s probably because I did something wrong. 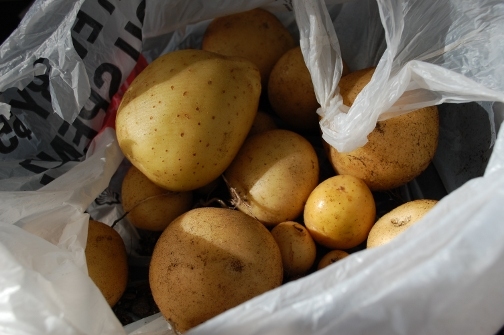 Case in point, I have never had much of a potato harvest. My potatoes tended to rot in the soil. I still got some potatoes–in fact, here’s a post about making gnocchi from last year’s potato harvest–but the potatoes were never as vigorous as I wanted. Well, it turns out that’s because I was planting potatoes wrong. As you can see in the above image, each dimple is sprouting a potential potato plant. 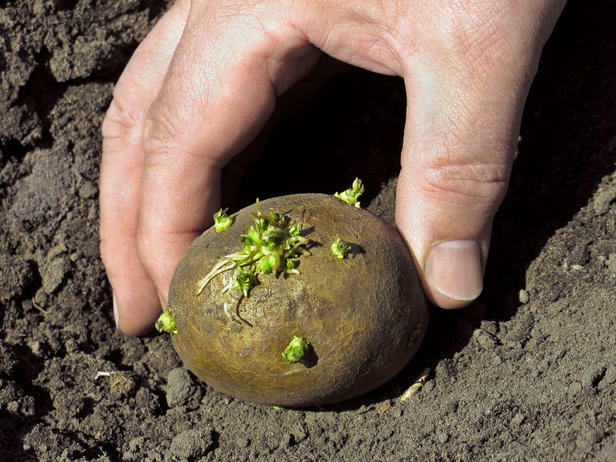 So I cut each one out, like you are supposed to, but here’s where I went wrong: I planted the potatoes in the soil like you would any other seed–by digging a hole in the top of a container filled with dirt and inserting the starter. I thought that the roots of the plant would grow down and fill the pot with potatoes. What I didn’t know is that potatoes grow up, not down. What I should have done was start the potatoes at the bottom of the container with only a few inches of dirt and mulch. You let the plant grow up four inches, then add more dirt, let it grow up another four inches, add more dirt, and so on until the plant reaches the top of the container. 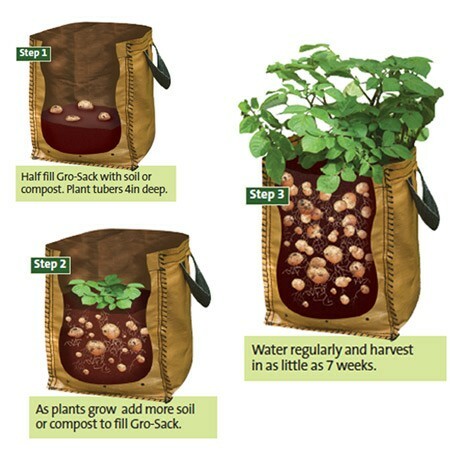 When you do this, the plant continuously makes potatoes the whole growing season. I also I should have left the starters out for a few days after I cut them up to let them harden off. Apparently, this keeps them from rotting in the soil.